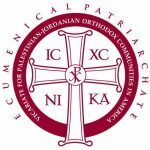 GreatMartyr Euphemia Orthodox Theological Academy is an institution of higher learning under the jurisdiction of the Vicariate for Palestinian/ Jordanian Orthodox Christian Communities in the US. The Academy offers a two-year program of study (offered in English and Arabic) leading to the Diploma of Orthodox Theological Studies (Dipl. O.T.S. ), and a one-year program leading to a Certificate in Preaching, and advanced courses for clergy and laity which qualify as Continuing Education Courses, both offered in English. The mission of GreatMartyr Euphemia Orthodox Theological Academy is to serve the Orthodox Church by preparing students for service to the Church. As the only theological academy within the Vicariate, the Seminary welcomes applicants not only from the United States but also from abroad, thereby serving its mission to serve the Church in all corners of the world. Beginning in the mid-1990’s, the administration of the current Vicariate for Palestinian and Jordanian Orthodox Christian Communities in the United States has worked diligently for the improvement and spiritual nurturing of the Orthodox Christian faithful in its parish communities by way of missions, established parishes, the ordination of clergy, youth camps, and organized opportunities for continuing education. Originally focusing on descendants of the Holy Land specifically, it soon became clear that spiritual education among Orthodox Christians of Arabic descent in the United States, and in the Arabic language specifically, was lacking in the extreme. Opportunities to serve these Orthodox faithful abounded but administrative and clerical resources could not keep up with the growing need. In response to this growing need, in 2008, the Vicariate was established as an official ministry of the Ecumenical Patriarchate with the V. Rev. Father George Jweinat (St. George Cathedral, Daly City, CA) as Archiepiscopal Vicar. The Archiepiscopal Vicar and all clergy of the Vicariate serve directly under His Eminence Archbishop of America (GOA) who is the senior representative of Constantinople in the United States. 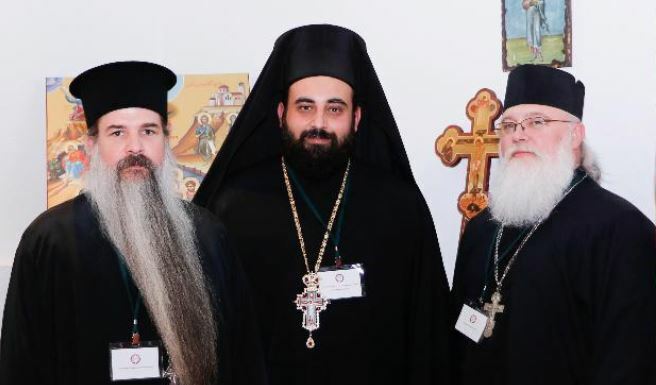 Through the Archbishop, the Vicariate clergy and parishes are participants in the programs and agencies of SCOBA (now the Assembly of Canonical Orthodox Bishops of the United States of America). From 2008 until 2013, the clergy brotherhood strove to serve the ever-growing number of Arabic faithful who longed for pastoral care and spiritual nurturing. New missions, summer camps, continued along with a growing number of American converts joining the historically Arabic structure of the Vicariate. New deacons and priests were ordained, and general growth continued, but the overarching need for religious education remained a dominant concern. There were simply too many faithful for the clergy to educate effectively via face-to-face gatherings. Then, in 2014, the wise planning of the Archiepiscopal Vicar the V. Rev. Father George Jweinat, with the blessing of His Eminence Archbishop Demetrios, Geron of America, and with the cooperation of His Eminence Metropolitan Damaskinos of Didymoticho Orestiada and Soufli, culminated in obtaining from the Orthodox Church of Greece the young and well-respected Archimandrite Damaskinos Alazrai for leadership assistance and the administrative development in the Vicariate. The V. Rev. Father Damaskinos, PhD, was elevated to the title ‘Archimandrite of the Ecumenical Throne’ by His All Holiness Ecumenical Patriarch Bartholomew, before his transfer to the Vicariate in the United States. Archimandrite Damaskinos is of Jordanian birth but resided continuously in Greece for approximately 15 years where he studied theology and received ordination. The arrival of Archimandrite Damaskinos Alazrai allowed for aggressive growth in the area of Orthodox education and spiritual formation of the faithful. Immediately, an annual Bioethics Conference was established for each spring, with an annual Spiritual Retreat every October. Youth education began in each mission and parish where the Archimandrite visited regularly, and even more potential missions were identified nation-wide from California to New York. “the harvest is great but the workers are few” (Luke 10:2). In the meantime, the number of converts to Orthodox Christianity who were interested in the Vicariate’s ethos of theological traditionalism and pastoral boldness was growing as well. Several of the Vicariate clergy were focusing their pastoral effort and creativity on the second or third-generation, English speaking half of the Vicariate population. At a pan-Orthodox clergy conference, V. Rev. Father Thaddaeus Hardenbrook, rector of St. Lawrence Orthodox Church, Felton, CA, made contact with a dynamic convert priest by the name of Father John Peck. These two American priests hit it off from the start and spent many hours contemplating the practical needs for vibrant and evangelistic Orthodox Christianity on a national scale. At the time, Father John Peck was serving in Phoenix, AZ, without specific pastoral assignment and soon found himself drawn to the zeal, sincerity, and pastoral conviction of the Vicariate clergy brotherhood. In 2017, Father John was officially released by the Orthodox Church in America (OCA) to His Eminence Archbishop Demetrios and assigned to reopening the parish of All Saints of North America in Sun City, AZ. Father John had previously served in Kodiak and Fairbanks, Alaska, in southern Illinois, Canton, Ohio, and Prescott, Arizona. He is the founder of several web-based educational programs and ministries such as ‘Good Guys Wear Black: Discerning Your Vocation in the Orthodox Church’ (goodguyswearblack.org), the ‘Preachers Institute: The World’s Premier Online Orthodox Christian Homiletics Resource” (preachersinstitute.com), and “Journey to Orthodoxy: For Those on the Path to the Orthodox Christian Faith” (journeytoorthodoxy.com). Therefore, it is with great joy, made possible only by the will of the Father, the direction of His only-begotten Son, and the grace of the Holy Spirit, that the sincere effort of the Vicariate clergy to serve the Orthodox faithful under their care, in as effective manner as possible, has developed into the founding of GreatMartyr Euphemia Orthodox Theological Academy, and the opportunity to serve whatever Orthodox Christians, and inquirers into the Faith, who choose freely to participate in the educational program of the Academy.